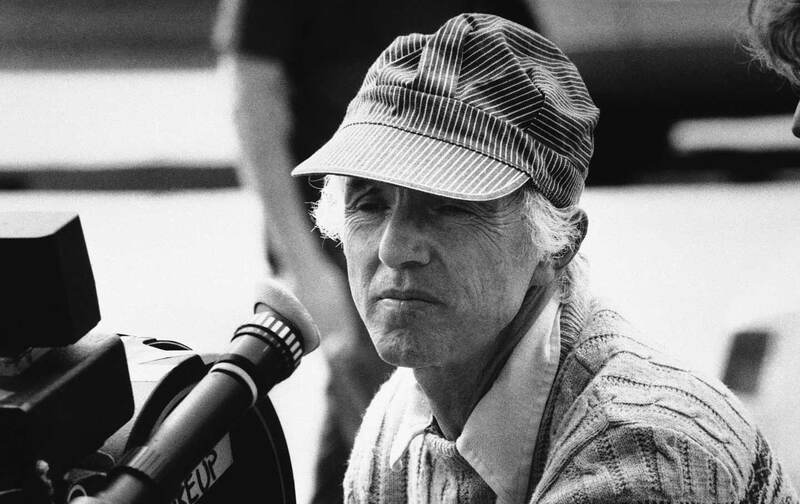 For more than six decades, Haskell Wexler spoke to the public through the movies he made. Artists can be prickly characters. Activists are headstrong troublemakers. So what could you have expected from Haskell Wexler: committed leftist, genius cinematographer, and writer-director of Medium Cool (1969), the most radical feature film (in both form and content) ever produced and distributed by a Hollywood studio? No one with a weak backbone could have created an artistic and political legacy like his—and sure enough, when he died in the last days of 2015, at age 93, he left behind generations of loyal and admiring friends and colleagues, as well as a somewhat overlapping set of people who could remember him as a contentious hothead. If you want to see for yourself, look at the documentary portrait of Wexler directed by his son Mark, Tell Them Who You Are (2004), in which testimonies of praise and sometimes exasperation from fellow professionals alternate with candid scenes of paternal browbeating. It’s an awkward, abrasive, and illuminating film, which leaves you wondering which of Mark’s traits seemed worse to Haskell: that he boasted of having been photographed with George W. Bush? Or that he was the kind of cinematographer who fussed about posing Haskell against a pretty sunset, when the most important aspect of the shot was that “I desperately want to say something”? For more than six decades in the film business, Haskell Wexler had plenty to say. He spoke to the public through the documentaries he shot and directed, on subjects ranging from the March on Washington (The Bus, 1965) through the lives of Weather Underground members on the run (Underground, 1976, with Emile de Antonio and Mary Lampson) to the Occupy movement (Four Days in Chicago, 2013). More famously, he helped others speak through the astonishing images he crafted, both for leading Hollywood filmmakers and for the independents in whom he believed. In the former category were Mike Nichols (Who’s Afraid of Virginia Woolf?, 1966), Norman Jewison (In the Heat of the Night, 1967), Milos Forman (One Flew Over the Cuckoo’s Nest, 1975), and Hal Ashby (Bound for Glory, 1976). Whether he was serving these directors, collaborating with them, or trying to order them around, their projects brought him awards, money, and a certain roughneck pride. (Hollywood camera crews are sunbaked and tough-looking, he said, like cowboys—“old cowboys, drinking cowboys.”) In the category of independent filmmakers who fed his sense of mission were John Cassavetes (uncredited cinematography for the landmark Faces, 1968), George Lucas (when he was young and making American Graffiti, 1973), Michael Moore (Canadian Bacon, 1995), and John Sayles, for whom Wexler shot three features, beginning with Matewan (1987). These were enough accomplishments for anyone’s career—and there were a lot more. But standing above them all, in his own mind, was Medium Cool, a film that only the most headstrong troublemaker could have achieved. Having been hired by Paramount to direct an adaptation of a novel by Jack Couffer, The Concrete Wilderness, Wexler tossed out everything except the locale (his native Chicago) and the encounter between two figures: a photographer, and a young boy from Appalachia who has been transplanted to the impoverished Uptown neighborhood. Wexler changed the photographer into a TV news cameraman (played by Robert Forster), made the boy rather less important than his struggling mother (Verna Bloom), and embedded them all into a carefully scripted but only partially controllable story that reached a climax with close-up footage of the police riot at the 1968 Democratic National Convention. Instead of Paramount’s getting the sensitive boy-man urban drama it had expected, the studio wound up producing an aggressively disturbing movie about the moral compromises of the news media in a society on the boil, with a cast of anti-war protesters, black revolutionaries, rampaging Chicago cops, and a terrified, gun-loving white middle class. In the story, the TV cameraman who had believed himself to be just an observer—an eye through which others could see—became more and more queasy and furious about his role in the mounting violence. On the screen, the line between Wexler’s fiction and his documentary images blurred until it was indecipherable. Critics who rank the demands of activism above all else have complained that an air of futility hangs over the conclusion of Medium Cool, in which the film comes full circle. They detect the hint of a non-struggle attitude, as we called it back then. I think these critics underestimate the cowboy pragmatism that tempered Wexler’s ideals—he was not the type to expect quick or easy victories—and give too little credit to the side of him that wanted to push his art, and not just his society, as far as it could go. In his hands, Medium Cool came closer by far than any other mainstream American movie to Jean-Luc Godard’s disjunctive forays into social change (or, for that matter, the play between direct address and self-aware image-making of Shirley Clarke’s The Connection). Medium Cool remains, by far, the most vivid record that mainstream American cinema has left us of the turmoil of 1968, as it played out both in the streets and in the souls of people whose assumptions about reality were going up in flames. It is a singular movie made by a singular artist. There he is in the final shot (modeled after Godard’s Contempt), discovered as he stands with his camera atop a scaffold. He pans, turning his lens so it directly faces the camera recording the scene. He looks at you, you look at him, and in the same moment he looks at his own reflection: Haskell Wexler. We won’t see his like again.